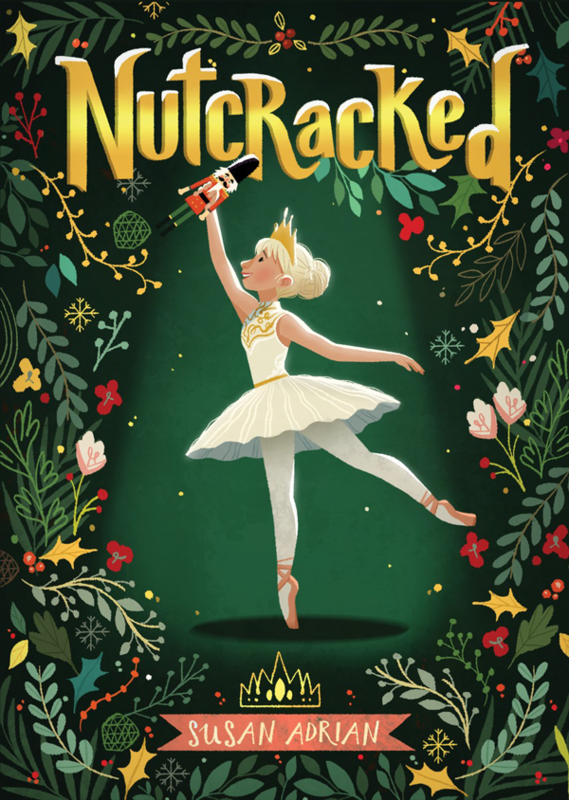 kt literary » Blog Archive » Congrats to NUTCRACKED! It may be only the first second day of June, but with BookExpo happening in NYC this week, publishing is already looking to the fall. And so are we! 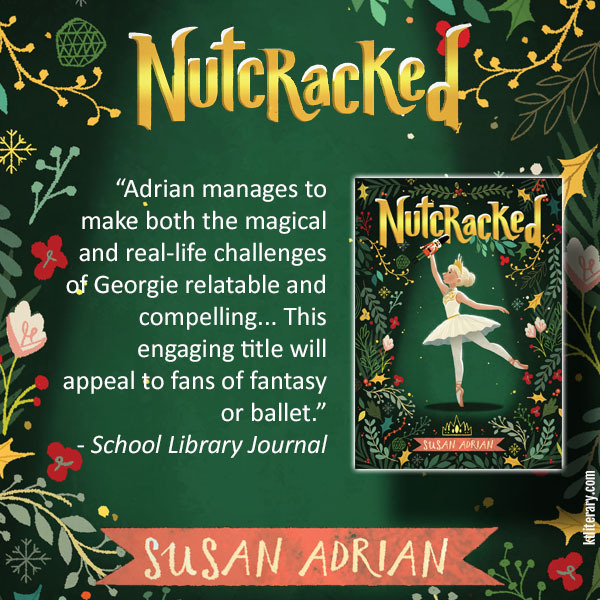 I’m thrilled to announce a great review of Susan Adrian‘s middle grade novel NUTCRACKED, which School Library Journal called, “engaging”! The full review requires a subscription to read, but I’ve pulled our favorite quotes below. Please feel free to share widely, and preorder the book on IndieBound, B&N, Amazon, or at your favorite local bookstore! And send Susan some love on Twitter. Enter the magical world of The Nutcracker in a whole new way with this perfect Christmas stocking stuffer! Christmastime, ballet, and magic! Georgie has waited for this moment her whole life—to dance the part of Clara in The Nutcracker ballet. And when she finally gets the part, it’s like a dream come true. . . .
Every time Georgie dances with the Nutcracker doll, she leaves the ballet studio and enters a world where everything around her—the old wooden furniture, the Christmas tree, the carefully wrapped presents—is larger than life. It’s so magical, Georgie can’t wait to return again and again. Then the Nutcracker’s magic seeps into the real world, putting Georgie’s friend in danger. Everything is falling apart, and it’s almost Christmas! Can Georgie save her friend, the Nutcracker, and most of all, herself? ← Book Expo Buzz Book!!! Congratulations K Arsenault Rivera!